The Webster Library of Concordia University carries an official biography of Pierre Elliott Trudeau, circa 1976, published by the Liberal Party of Canada. A scan of same, an ebook in PDF format, and a searchable transcript are free for download (157 MB zipped), together with additional documents. Therefore, the foregoing, and other statements in Trudeau’s “official” Liberal biography, were clearly intended to lull the public into believing that Pierre Trudeau was, and had long been, a “Liberal”. However, election year 1960 disproves the claim. In fact, it links Pierre Trudeau personally and directly to the Communist penetration of Quebec, which he facilitated with his “vote Lesage” article in Cité Libre. The idea of a Communist plan was not abandoned; but merely the attempt to do it while a Province of Canada. 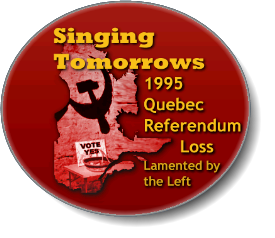 The Quebec referendums of 1980 and 1995 to “secede” were efforts to acquire all the powers necessary to pull one off. It would seem that the “fundamental characteristic” of the “Quiet Revolution” was an attempt by the Jean Lesage “Liberals” to construct a Communist Plan. Moreover, Jean Lesage had been a federal minister under Soviet agent Lester Bowles Pearson as prime minister of Canada, before Lesage swapped the federal “Liberals” for the provincial. À toutes fins pratiques, on va donner ici à l’Etat le rôle qu’il joue dans les pays socialistes de l’Est de l’Europe. On va centraliser la production, on va construire des plans — euh — coercitifs — et à toutes fins pratiques, comme je le disais, — euh — donner à l’Etat la gouverne totale. Et on doit s’attende à ce que le, le, l’économie progresse à peu près comme celle des Polonais ou des Czecks ou des Allemands de l’Est. For all practical purposes here, they are going to give to the Government pretty much the role it plays in socialist countries in Eastern Europe. They are going to centralize production, they are going to construct coercive plans — uh — and for all practical purposes, as I said uh give to the Government total control. And one must expect that the, the, the economy will progress pretty much like that of the Poles or the Czechs or the East Germans. This is not an indicative plan that we have here. This is clearly a coercive — uh — which ref — represents the kind of, of — of, uh — of system known in socialist countries. But surely not, surely not (the kind found in) Sweden, and surely not in France, either. In 1972, Yugoslavia still is Communist, under Tito. The CCF, in case you didn’t know, is the original name of the party that became Canada’s NDP, our New Democratic Party, a full member, like the CCF before it, of the Socialist International, working toward socialist (Communist) world government. The NDP is Pierre Elliott Trudeau’s real political home in Canada, not the Liberals, whom he merely infiltrated like so many other Fabian Socialists. Included in the Black Rose conference proceedings of the Praxis Institute for Social Change is an advocacy paper entitled “Industrial Democracy: Where do we go from here?” by none other than our respectable NDP’er, Edward Broadbent, M.P., and future NDP leader, influential in the administration of the Socialist International. Industrial democracy is precisely the form of Communism framed in the pages of the 1972 PQ manifesto. The Rockefellers’ Chase Manhattan Bank was a co-financier of the 1917 Bolshevik Revolution, along with Bankers Schiff, Warburg, Rothschild, and others. Which raises the question: who, in fact, owns and operates Canada’s federal and provincial governments? 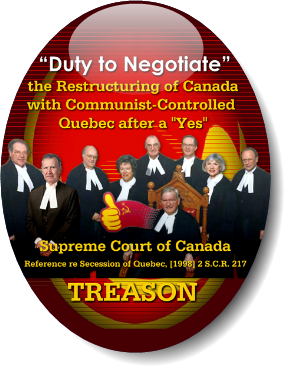 For decades now, our federal and Quebec levels have colluded in illegal referendums to convert Quebec to Communism on the model advanced by the former Praxis, an alleged Rockefeller policy outlet. Furthermore, the real goal of the Quebec “secession” front has been to restructure all of Canada through federal-Quebec “negotiation” following a referendum Yes. The “Quiet Revolution” of the Lesage Red “Liberals” isn’t over. In his 2014 Liberty-Nation Project, Quebec city lawyer, “separatist” tactician and Communist co-founder of the Parti Québécois, Guy Bertrand, points out Quebec’s continued need for “sovereignty”. (It’s actually the Communists who need it.) However, the picture is shaping up. The empty shells of the “radically revalorized municipal institutions” called for in the PQ’s 1972 manifesto (see “Democratic Communities, page 31) were created by the PQ in November-December 2000, without waiting to “secede”. The PQ, as a rogue government legislating not for the governance of Quebec, but for the future dismantling of Quebec, created: “an array of regrouped and amalgamated municipalities” as called for (also on page 31) by its own manifesto of 1972. Obviously, that manifesto is current; it’s not passé or lapsed. In French, the PQ created “un ensemble de municipalités regroupées et fusionnées“. These are the “regions” that Bertrand is referring to in calling for a transfer of powers to them, aka “decentralization”. This will indicate the determination of the Communists to in fact cause Quebec to “secede” to complete and implement these new Communist metropolitan regions. Which is what we really were forced to “vote” for in the 1980 and 1995 referendums. Not Quebec “sovereignty”. Not the independence of the ethnic French Canadians, but the dismantling of Quebec into a string of socialist banana republics, planned city-states on the model of Moscow. La réforme des institutions politiques au Québec doit néces­sairement passer par le transfert de pouvoirs gouvernementaux vers les régions, une fois modifié le statut poli­ti­que du Québec. La décentralisation s’impose. « La décentralisation, c’est le transfert de pouvoirs gouver­nementaux vers les régions, avec, bien sûr, les ressources nécessaires pour les exercer, sans quoi il s’agit d’un transfert bidon. La décentralisation, précisons-le d’emblée, n’est pas un transfert ou une déconcentration de services, mais un transfert de pouvoirs. L’opération n’est pas de nature administrative, mais de nature politique. Il ne s’agit pas de réaménager l’Administration. Il s’agit de réaménager l’Etat. The reform of political institutions in Quebec must necessarily proceed by way of the transfer of governmental powers to the regions once the political status of Quebec is modified. Decentralization is the way to go. Those “missing instruments” are the legislative powers of the Province of Quebec, and of the Parliament in Ottawa, to be taken by UDI — a unilateral declaration of independence of the Communist state of Quebec, and handed over to the city-states, and to a new regional government, and undoubtedly, a world government. Download a package of my exclusive English translation of parts of Guy Bertrand’s 2014 Liberty-Nation Project. Il suffit de rappeler ici que la Fédération libérale accepta la formule d’union des forces démocratiques, alors qu’à toutes fins pratiques cette formule fut rejetée par l’Action civique et par le P.S.D. 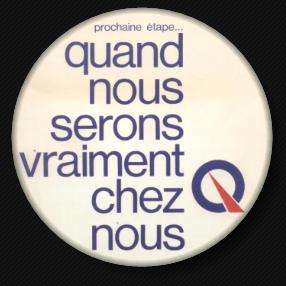 Je veux bien croire que les Libéraux bluffaient peut-être au moment où ils acceptaient de négocier, même en dehors du parti libéral, une formule d’union des forces démocratiques. Je pense aussi que depuis la mort de MM. Duplessis et Sauvé et le retrait de l’Action civique, les Libéraux sont vraisemblablement ravis que cette union ne se soit pas réalisée. En conséquence, cet électorat sera justifié, autant en théorie qu’en pratique, d’appuyer carrément le parti libéral aux élections prochaines. Et le corollaire, c’est qu’un René Lévesque — soudain désireux d’exercer une action électorale — se trouve dans l’impossibilité pratique d’agir ailleurs que dans le parti libéral. René Lévesque was apparently recruited by the Lesage Liberals; he didn’t find himself unable to run for office with one of the Red groupings on account of their failure, according to Pierre, to put “democracy first”. It should be evident that Pierre Elliott Trudeau recommended voting for a party which he had to have known was going to attempt a Communist plan. It must also be clear that if Quebec supposedly required “sovereignty” in order to acquire “[t]he missing instruments” to construct a Communist Plan, it is therefore and always has been in the direct personal interest of Pierre Elliott Trudeau — who urged his pro-Soviet readers of Cité Libre to vote for the Lesage “Liberals” — to find a way to dismantle Canada to construct that Plan. And therefore, Pierre Elliott Trudeau and the other Reds long at the federal level, would have to be aiming at restructuring all of Canada to facilitate “provincial” Communist planning. Which is not to say that other motives are not afoot for the redistribution of legislative powers from Ottawa to Quebec. Without all powers in its hands, Quebec would be unable to redistribute them in turn … to a decentralized group of expanded and consolidated Communist metropolitan regions on the model of Moscow in socialist sociologist Maurice Zeitlin’s “Planning is Socialism’s Trademark” in a 1975 issue of the Communist Party of the USA’s Daily World. It must therefore be clear that it is not “Quebec” that wants “sovereignty,” nor was Pierre Elliott Trudeau “fighting to save Canada”. He was working, in both the Justice department under Soviet agent prime minister Pearson, and then in his own regime as prime minister, to restructure Quebec and all of Canada for Communism, after a “Yes” in a referendum. Il va sans dire, mais cela ira peut-être mieux en le disant, que je ne suis pas autrement fier d’avoir à faire ces constatations. Mais si je ne les faisais pas [ces remarques], je renierais le long manifeste publié dans le numéro sus-dit de Cité libre, et je reculerais devant la logique à laquelle je risquais d’être pris en jouant à “démocratie d’abord”. Car il est certain que si, par exemple, le P.S.D. Le résultat net, c’est que le parti libéral a obtenu à peu de frais le monopole des votes oppositionnistes. Pierre Trudeau’s official “Liberal” biography therefore links him directly to the Communist penetration of Quebec with a view to constructing a Communist Plan. It links him through his own article published in Cité Libre in 1960, “Notes sur l’élection provinciale” (translation: “Notes on the Provincial Election”) (Volume 11, Number 28, June-July 1960, p. 12 et seq.) in which he invites his readers of Cité Libre to vote for the Lesage “Liberals”. The electorate who unintentionally will vote for the Communists in 1960 were not, however, without counsel. Both Robert Rumilly and Patrick Walsh are present, trying very hard to warn Quebec voters about the leftist inclinations of their “Liberals”. Quant à l’épouvantail du communisme, il ne semble guère pris au sérieux par l’électorat. Durant toute la campagne, René Lévesque fut plusieurs fois présentée comme un cryptocommuniste. Dans un entrefilet du 1er juin, le Montréal-Matin expliquait que « Pat Walsh, chef anticommuniste bien connu, a annoncé qu’il ferait la campagne contre René Lévesque », comme s’il était normal de surveiller René Lévesque en tant que communiste ! As for the scarecrow of Communism, the electorate hardly seems to have taken it seriously. Over the course of the campaign, René Lévesque was depicted a number of times as a crypto-communist. In a brief report on June 1st, the Montréal-Matin explained why “Pat Walsh, the well-known anticommunist leader, announced that he would campaign against René Lévesque”, as if it were normal to view René Lévesque as a Communist ! Le dernier épouvantail, celui d’un Parti libéral résolument hostile aux valeurs religieuses et à l’Église, est également agité par des partisans de l’Union nationale. À la toute fin de la campagne, l’historien traditionnaliste Robert Rumilly fait circuler un pamphlet dans lequel il s’insurge contre la gratuité scolaire qui violerait les droits de l’Église. Les cibles principales de l’historien sont Jacques Hébert, Jean-Louis Gagnon 1 et René Lévesque. Le 19 juin, il offre une causerie sur ce sujet à la radio (diffusée dans 9 postes, dont CKAC et CHRC), annoncée la veille dans Le Soleil. Le titre de cette causerie commanditée par la Ligue pour l’Autonomie des Provinces est « L’infiltration gauchiste dans les élections provinciales ». La réplique de Jean Lesage fut cinglante. Selon ce que rapporte le journaliste du Devoir, le chef libéral aurait déclaré : « Il a dit qu’il n’a pas de leçon de catholicisme à recevoir de cet “importé”, que le peuple canadien-français a réchauffé sur son sein pendant trop longtemps cette “vipère” qui le darde aujourd’hui dans ses idées » ! Perhaps the intensity of Jean Lesage’s insult to Rumilly reflects the degree of accuracy of Mr. Rumilly’s political forecast with regard to the Liberals. The 2013 lecture by Éric Bédard, excerpted above, is an excellent off-the-beaten track background to the 1960 Quebec elections. It was first delivered under the auspices of the Quebec library and archives (BAnQ), with a transcript now online by the Fondation Lionel-Groulx. Using the Liberals’ own statistics from a survey conducted by the Liberals at the time, Bédard explodes the “myth” that the Quebec of 1960 was “backward” and needed to be rescued. The election of the Jean Lesage “Liberals” on 22nd June 1960 marks the beginning of the alleged “rescue”, i.e. : Quebec’s “Quiet Revolution”. The period prior to the “rescue” is often called “la Grande Noirceur” (the Great Darkness). However, Quebec of 1960, according to Bédard, was neither “backward” nor in “darkness”. Therefore, what were the Liberals really doing when they merely pretended to rescue Quebec? Were they simply trying to justify the revolutionary steps they planned to take, not even mentioned in their electoral platform, and thus not sought by the electorate? These included nationalization of hydroelectricity (Power Corporation of Canada came by a tidy sum of cash on that occasion; seven years later, it would found the Parti Québécois on its Montreal downtown business premises), secularization of the public education system, and a secret design (not mentioned by Bédard, which surfaced in my own research) to attempt to construct a Communist plan to run Quebec. The “myth” of Quebec’s backwardness before the 1960 Liberal win still commands the airwaves at the Communist Broadcasting — I mean Canadian Broadcasting Corporation. Bédard’s lecture is well written, amply footnoted, and my additional reason for enjoying it is that two of my anticommunist “old friends” have shown up: Robert Rumilly and Patrick Walsh. Is Trudeau Really a Democrat? Trudeau’s pretext for telling his readers to vote “Liberal” on June 22nd, 1960, is “democracy first”. It was the “Liberals”, Trudeau says, who alone were willing to form a coalition to force Maurice Duplessis and the Union Nationale out of office. Because the watchword is “democracy first”, says Trudeau, the provincial “Liberals” have earned his readers’ vote. This is a very nice pretext, in particular since Pierre Elliott Trudeau cares little if anything for “democracy” (at least as we envision it in our supreme Westminster Parliament of 1867). In his 1977 book Viva Chairman Trudeau, commencing at the segment entitled “NDP Rule by Proxy – 25 April 73”, we have a portrait of the extent to which Pierre Elliott Trudeau is attached to “democracy” as a principle to influence the vote. Since the life of the Trudeau minority government depends on the 31 socialist votes in the Commons, what the New Democrats want they usually get. The pattern of the informal coalition was set the very first day the 29th Parliament met. From then on the Trudeau-Lewis organic understanding has been refined into a smooth symbiosis which is in fact giving the country NDP government by proxy. Quite an achievement for a party which polls about 17 per cent of the vote. One of the paradoxes of the 1972 federal election is that the near defeat of the Liberal party has increased Trudeau’s operational scope. Since his minority government needs the NDP votes in the Commons to stay in office, Trudeau can now explain his version of any portion of the NDP program as an inescapable tactical necessity to keep the Liberal party in power. It wasn’t David Lewis or Tommy Douglas but Pierre Trudeau who hit upon the idea of using the Liberal party for pushing the country down the socialist drain. The fact that the scheme now needs open NDP support in the Commons simplifies, not complicates, matters. Until the 1972 election, opposition of genuine liberals to Trudeau’s pre-conceived policies of armchair socialism managed to blunt or moderate the illiberal impulses of his administration. Since late 1972 this internal check has been rendered ineffective. Since keeping their party in power comes first with virtually all the ranking Grits, Trudeau is now free to impose on the country the framework of “socialist” policies he had trouble smuggling through in bits and pieces before the excuse of buying NDP support swept aside all objections. The New Democrats find the arrangement ideal because it gives them more power than they could ever expect to get from their voting support, without at the same time burdening them with any of the responsibilities that go with exercise of power. What it all boils down to is political piracy. A few observers are now coming close to my long-standing contention of Trudeau’s use of the Liberal party as a camouflage for NDP rule. The latest discoverer of Trudeau’s capture and manipulation of the Liberal party for the socialists is columnist Charles Lynch. “What we may be seeing,” writes Lynch, “is the re-emergence of Trudeau the convinced socialist, acting on the beliefs he held until he put them into mothballs when he joined the Liberal party at the age of 45. This, of course, should have been obvious all along, and certainly since the 1972 election. Why, then, was the perception of virtually all our political commentators clouded for so long? It’s not the whole explanation. It leaves out the sad fact that writing about Trudeau’s political roots means risking ridicule, condemnation and ostracism. Trudeau’s claim that the New Democrats are not directing the ship but following it is justified. He does not need them as navigators, because the general direction of their course has always been his own. But he needs them for a semblance of legitimacy of his continued command. In that sense the ship of state has now been actually steered for over a year by the 31 official socialists in the Commons, for without their support Trudeau and his crew could not hold on to the controls after the 1972 election. David Lewis’ claim that “we were elected to make parliament work” is cynical hypocrisy. Parliament represents the will of the people, not the will of any one of its members. In the 1972 election the will of the people signified rejection of the Trudeau regime, without conferring the mandate to govern on any other party. The New Democrats, who polled less than 18 per cent of the votes cast, certainly did not receive a mandate to defy the will of the majority of the electorate in nine out of Canada’s ten provinces. By keeping in office a government rejected by the majority of the electorate in all the provinces but one, the New Democrats are not only in contempt of the democratic process but are now primarily responsible for the continued mismanagement of the country. In closing, and in terms of a broader conclusion to be drawn from Trudeau’s 1960 support for the “Liberals”, the apparent “struggle” of the federal government of Canada, first under Pearson, then under Trudeau, and afterward under others, with a “separatist” Quebec, is a cleverly staged sham. It is meant to hide a confidence game and close cooperation among Communists top and bottom who have penetrated both the federal and provincial levels. They are manipulating their way toward dismantling Canada precisely to give each of the Provinces all the “instruments” necessary … to construct a Communist Plan. And they are doing so with the full support of the family which has hijacked the Crown and Throne, and the democratic liberty of Canada. 1 Jean-Louis Gagnon was a Soviet agent, one of many exposed by Igor Gouzenko. Gagnon escaped the Canadian “spy trials” (he fled to Brazil) with the help of Mitchell Sharp, the latter a future member of David Rockefeller’s Trilateral Commission and a future adviser to Pierre Elliott Trudeau. 2 As Lesage’s brand new Minister of Education — a post not occupied since 1875 when the decision was made to restore Church control of Education — Paul Gérin-Lajoie, in the photo at right, was instrumental in evicting Quebec’s Catholic faith from the public school system. There had to be at least two purposes for doing this. First, mass immigration could not begin in earnest without faith-neutral public schools. Secondly, socialist planning in the future multicultural (non-national) city-states could not be done without city control of Education in order to train people for the jobs planned to be filled. Thus, the ancient constitutional right of the inhabitants of New France to preserve their faith and culture was eradicated in Quebec to facilitate their ethnic replacement, and fully planned socialism in a Marxist world state. L’intervention fédérale dans le domaine de l’enseignement pourrait saper à leur base toutes les institutions québécoises. L’octroi de subsides fédéraux pourrait à lui seul produire une petite révolution. Imaginons, par exemple, que le gouvernement fédéral décide de donner un octroi substantiel à certaines facultés universitaires à l’exclusion d’autres facultés auxquelles la province de Québec attache la plus grande importance, contrairement aux autres provinces. Les répercussions ne seraient pas lentes à se faire sentir dans l’orientation de la pensée, le sens des valeurs et, éventuellement, les institutions sociales. Federal intervention in the field of education might undermine at their base all of Quebec’s institutions. The granting of federal subsidies alone might produce a small revolution. Imagine, for example, that the federal government decides to give a substantial grant to certain university faculties to the exclusion of other faculties to which the Province of Quebec attaches the greatest importance, contrary to the other provinces. The repercussions would not be slow to be felt in the orientation of thinking, the sense of values and, ultimately, the social institutions. Il ne s’agît pas de représenter le gouvernement fédéral comme ennemi du Québec. Loin de là! Mais le danger existe qu’en étendant les compétences fédérales à des domaines qui ne sont pas purement économiques, la nouvelle législation soit orientée — bien inconsciemment, peut-être — d’une façon défavorable au Québec. Voilà pourquoi la province s’inquiète toujours des agrandissements des compétences fédérales, et pourquoi son gouvernement exige un droit de contrôle sur tout amendement à ce sujet. This is not to depict the federal government as the enemy of Quebec. Far from it! But the danger exists that in extending the federal powers into fields which are not purely economic, the new legislation might be oriented — quite unconsciously, perhaps — in a way unfavorable to Quebec. That is why the province is always concerned about enlargements of federal competencies, and why its government requires a right to control all such amendments. What happened in Quebec under Lesage and Lajoie after their 1960 win was far more devastating than federal intervention or a constitutional amendment. With no hint in their platform, Quebec’s Red Liberals implemented their own “revolution” against Quebec’s ancient institutions. 2) intent of the Lesage “Liberals” to construct a Communist Plan to run the economy, an undertaking apparently quietly begun in 1961 according to page 103 of the 1972 manifesto of the Parti Québécois. I can find no documented source alleging that the voters turfed out Lesage in 1966 over the education reforms. The only reference to the subject at all says the Union Nationale alleged that Lesage would remove the crucifix from the schools if re-elected. I sense that this reference probably hides deeper public discontent which the controllers of the “Memory Hole” have left unrecorded. Or, les jours de grande fete, ces temples sont remplis à craquer, — mais uniquement de vieillards. La liberté de culte n’est donc pas éteinte; mais faute d’instruction religieuse cette chrétienté est amputée de sa jeunesse. Sauf en Georgie toutefois, où les jeunes paraissent encore assez dévots. Did Radicals Aim To Overthrow Government? The Winnipeg Free Press, 27 January 1977, Front Page. This article, “Did Radicals Aim To Overthrow Government?”, in the The Winnipeg Free Press of 27 January 1977, is careful to exclude most names of individuals and of the “radical” organization subject of Solicitor-General Jean-Pierre Goyer’s “letter” “warning” government departments of subversive activities. However, the reference to a $68,000 federal-government grant to the “radical group” by Central Mortgage and Housing Corporation, identifies the unnamed radical organization working to overthrow the government of Canada as Praxis Corporation, also then known as the “Research Institute for Social Change”. One name the WFP does reveal is that of Walter Rudnicki, described by the WFP as “policy planning director of Central Mortgage and Housing Corp”. That raises my question, was Rudnicki responsible for the CMHC award to Praxis of the $68,000, its main operating budget? The question is important because just prior to Rudnicki’s employment with the CMHC, he was an official in the Privy Council Office of Canada which conducts research to advise the Prime Minister. Rudnicki will figure in an upcoming post on the Edmund Burke Society, founded in 1967 by three men, including University of Toronto student, F. Paul Fromm as an “anticommunist” group. Information that I currently have indicates that Walter Rudnicki exposed the Edmund Burke Society as a national police operation (a front) of the federal government of Canada. Therefore, this initial post will help to connect Rudnicki himself to the Trudeau federal government. In this article in the 1977 Winnipeg Free Press, Jean-Pierre Goyer, Solicitor General in 1971, identifies Rudnicki as one of 21 “subversives” linked to the Communist Praxis Corporation, working to overthrow the government of Canada. Somehow, Rudnicki cleared himself, and returned to work for the federal government and its agencies. Another thing you need if you are imposing a dictatorship is control of the police. In Canada, the Royal Canadian Mounted Police are controlled by the Solicitor-General. So Trudeau made Jean-Pierre Goyer the Solicitor-General — when Parliament was not in session and could not question him. Goyer, it goes without saying, was a regular contributor to Cité Libre. Isn’t everybody? He was once arrested for staging a sit-in outside the office of the Premier of Quebec. He has been involved in several pro-Communist fronts. And he has attended Communist meetings behind the Iron Curtain. Like his friend Trudeau, he is a revolutionary. The Poor People’s Conference run by Praxis had been financed by the federal government of Pierre Elliott Trudeau through funds contributed by Trudeau’s Minister of Health and Welfare John Munro, through such federal agencies as the National Council of Welfare. Obviously, the de facto federal government of Pierre Elliott Trudeau was not at all hostile to Praxis Corporation. 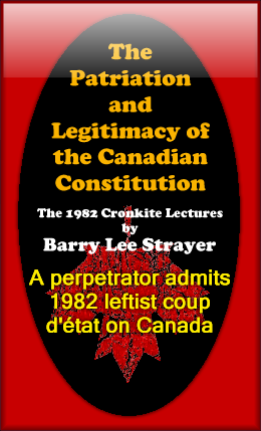 Which brings us full-circle to our equally Communist Solicitor-General, and back to my question, why would Jean-Pierre Goyer (appointed by Trudeau “when Parliament was not in session and could not question him” said Stang) “blow the whistle” on the radicals at Praxis? Goyer himself, like Pierre Elliott Trudeau and Jean-Louis Gagnon are penetrated Communists working “like microbes” to “destroy Canada” … for the Yugoslav system of Communist “worker control” or “industrial democracy”. According to my original research, the Trudeau objective is excactly the Praxis objective: Yugoslav-style Communist “Worker Control”, aka “industrial democracy” of the kind practiced under Marshall Tito. That information comes from a reading of the 1972 manifesto of the Parti Québécois for a Communist state of Quebec — which I have translated into English — together with a 1972 Radio-Canada transcript and audio tape — which I have also translated into English — in which the manifesto is identified as calling for Yugoslav-style Communism for Quebec. For a free download of the 1972 manifesto and the radio show in one zip file, see the Download button on the top menu. 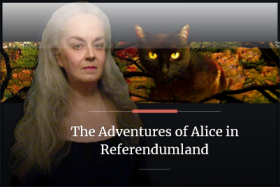 “Electoral” meaning “referendum”. And thus we have the true source of our Quebec “independence” or “sovereignty” referendums. Obviously, the “radicals'” plan to penetrate and destroy Canada “like microbes” had long been well under way at the federal level. Lester Bowles Pearson was in fact a Soviet agent, exposed in the U.S. McCarran hearings and to the FBI by defecting GRU Elizabeth Bentley (formerly with Soviet military intelligence). Jean-François Lisée — a known Communist — is now the elected leader of the Communist PQ [7 October 2016], succeeding multimillionaire Pauline Marois, Lucien Bouchard, Bernard Landry, Jacques Parizeau and René Lévesque in their goal of making the province of Quebec into a Communist banana republic attached to the “rest of Canada” and to the “USA” by “trade agreements”. A preliminary investigation of the actual nature of the Praxis Corp. network reveals it to be the centerpiece in a broad-based, largely Rockefeller-inspired, conspiracy directed at all phases of the Canadian policy making process. Information on Praxis and associated networks gathered in Canada and gridded against the extensively documented activities of the terrorist controllers at the U.S.-based Institute for Policy Studies (IPS) both in North America and in Europe show the Praxis Corp. to be an IPS-Canadian front organization. This iden­tification, matched in turn against known official Rockefeller policy options for Canada, allows the ef­ficient assemblage of the complete profile of Rockefeller and allied network agencies of subversion directed at Canadian national sovereignty. READ The Winnipeg Free Press: “Did Radicals Aim To Overthrow Government?” (27 January 1977. READ “Goyer Cites Destructive ‘New Left'”, also on the front page. I have obtained an authentic copy of an old draft article by noted journalist Peter Worthington (born February 16, 1927) which contains names of suspected Communists in the federal government of Canada, as revealed in the RCMP’s now-quashed “Featherbed File”. Prime Minister Pierre Elliott Trudeau squelched the Featherbed file with an Order-in-Council before he left office. Trudeau himself was named in it as a suspected Communist subversive. Many headlines could be drawn from this article. However, the one that comes to my mind first is that Sol Simon Reisman, who negotiated the Canada-US Free Trade Agreement (FTA), was a suspected Communist subversive. RCMP Featherbed investigators objected in vain to the renewal of Reisman’s high-level security clearance with the federal government of Canada. In 1982, Trudeau ordered a royal commission convened: the Royal Commission on the Economic Union and Development Prospects for Canada, known as the Macdonald Commission, and chaired by Trudeau’s friend and co-Bilderberger, Liberal Minister of Finance, Donald Stovel Macdonald. The Macdonald Commission reported to Conservative Prime Minister Brian Mulroney in 1985. It recommended free trade with the USA, and the conversion of Canada to a socialist welfare state. In May of 1986, Canadian and American negotiators began to work out a so-called trade deal, known as the Canada-US Free Trade Agreement (FTA). The Canadian team was led by former deputy Minister of Finance Simon Reisman and the American side by Peter O. Murphy, former deputy United States trade representative in Geneva. The FTA was deepened by the coming into force on January 1, 1994 of NAFTA, the North American Free Trade Agreement involving Canada, the USA and Mexico, and spanning the continent. A number of informed and well placed observers have identified the NAFTA and the Security and Prosperity Partnership of North America (SPP) which followed it on the pretext of so-called terrorist attacks of September 2001, as the building blocks of a North American Union modeled on the European Union. Today, The European Union is called both Marxist and “post-democratic” by some members of the press and intellectuals such as Professor John Fonte. American Charlotte Iserbyt has warned of an impending North American Soviet Union, citing Mikhail Gorbachev who in 2002 called the European Union the “New European Soviet”. American-Lithuanian Vilius Bražėnas viewed the series of trade deals on this continent in a similar light. Bražėnas, a survivor of Communism, died on October 3, 2010 at the age of 97. In his final passionate articles, he warned against the FTA, NAFTA, the FTAA and related trade-zone accords as tantamount to a multiple coup-d’état which in the end would impose a Communist regional union in North America. Is anyone listening? I know I am. In particular because U.S. Congressman Lawrence Patton McDonald in 1983 publicly warned America that the Marxist Council on Foreign Relations (CFR) and the Marxist Trilateral Commission and other related non-governmental entities were pushing for a Communist regional union through a series of apparently harmless trade deals. Canada’s FTA under Reisman certainly shifts Canada to the left while initiating the North American merger process. ”Well, I think there are those who realize that moving straight from a prototype of the United Nations into world government perhaps is tactically impossible. But phasing out increasingly national sovereignty into REGIONAL GOVERNMENT and phasing out sovereignties into international treaties ….” is the order of the day. Today, with these warnings in mind, I invite you to read Peter Worthington’s old draft article exposing the chief negotiator of the FTA — which forms the initial basis of a clearly incoming REGIONAL UNION in North America — as someone the RCMP had warned the federal government not to trust because he likely was a Communist subversive. However, the warnings fell on deaf ears, no doubt because the very Prime Minister’s Office the RCMP attempted to alert was itself already infested with one-world government types and suspected Communist subversives such as Soviet agent Lester B. Pearson, and Soviet mole Pierre Elliott Trudeau. As a consequence, the very basis of Communist regional union in North America was negotiated by someone Canada’s national police and security apparatus long believed to be a Communist subversive. Following is an exclusive typed transcript made by me from Worthington’s own typed, draft article, which he hand-edited. For ease of reading, i am retyping the draft clean, without indicating Mr. Worthington’s deletions and insertions. Images and captions have been added by me. Operation Featherbed, a 14-year RCMP investigation into suspected subversives in high places, tried to warn the federal government it was being systematically infiltrated. But the governments of John Diefenbaker, Lester Pearson, and Pierre Trudeau dismissed the Featherbed warnings as unsubstantiated Communist witch-hunting. Besides, it would have been too embarrassing to repudiate people their governments had promoted to positions of influence. Featherbed suspected that Communist infiltration of the federal bureaucracy had been set in train in 1923 with the co-option of O.D. Skelton, renowned as the “father of the civil service”. The Featherbed analysts concluded that over the years, any promising “agents of influence” were talent-spotted at Communist study clubs in universities and brought into the civil service. Inside, a shadowy network promoted “birds of a feather,” which gave the operation its code-name. Bernard Ostry became deputy minister of communications despite RCMP objections. He was recently appoint(ed) at $65,000 a year as government special adviser on culture and communications based in Paris. Sylvia Ostry, former chief of Statistics Canada, the Economic Council of Canada, and deputy minister of consumer and corporate affairs, was appointed last fall to head the economics and statistics branch of the Organization of Economic Co-operation and Development in Paris. 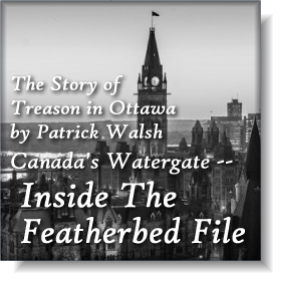 Operation Featherbed also plumbed the pasts of prime ministers Lester Pearson and Pierre Trudeau — Trudeau for his travels to Warsaw, Moscow, Peking and Havana, Pearson for allegedly having supplied information while a diplomat, that was transmitted to Moscow by a U.S. spy ring. (Trudeau once called for his Featherbed file, “chuckled” as he read the report about his travels, associations and indiscretions, and sent it back to RCMP files). Featherbed began as a search for suspected Communist subversives in the hierarchy of the civil service, branched out delving into university professors, lawyers, the media and trade unions. It involved extensive surveillance, wiretapping and bugging under the code-name Operation Mercury (Featherbed was the analytical side). The winnowed-down conclusions were summarized in a thick, black-edged book that held the names of 245 “professional” people as members of the Communist Party secret underground in Canada. Not all the subjects of initial investigation found their way into the wrap-up black book. Featherbed opened files on 87 CBC staffers as suspected subversives but there was no evidence of any operating network and only a handful were named in the final summation. And Featherbed never learned the identity of “our agent in Canadian Press” that Communist Party of Canada chief Tim Buck frequently boasted about to his mistress, Bess Nascolo. A bug in Nascolo’s house on Jones Ave., Toronto, picked up the drunken boasts after a shipment of Russian embassy vodka. Featherbed believed that Lewis Rasminsky, former governor of the Bank of Canada, was only flirting with Communism when he attended party cell meetings in the Depression, as many disillusioned people did, and that he had rejected the ideology. After a Featherbed investigation, the RCMP Security Service blocked the intended 1969 appointment of Grace Hartman to the government’s national commission on the status of women. She became head of the Canadian Union of Public Employees. Featherbed also conducted an investigation of Shirley Carr, vice-president of the Canadian Labor Congress. What prompted Featherbed’s start in 1958 was an accusation by the U.S. Senate Internal Sub-Committee that Robert Bryce had been a member of a Communist closed party cell at Harvard university in 1935-37. The subcommittee the previous year had cited Herbert Norman, then ambassador to Cairo, as a Communist. Norman leaped to his death in Cairo a day after he told his doctor that if he were called to testify in a royal commission, he would to identify 60 to 70 Canadians as Communists. Norman was a good friend of Lester Pearson and Robert Bryce and Pearson’s denunciation of U.S. interference in Canadian affairs caused the jittery RCMP brass to sever relations with the FBI. When they were resumed, the FBI handed the information about the Silvermaster spy ring to the RCMP. The ring’s courier, Elizabeth Bentley, told the FBI that Norman was a source of information sent to Moscow. She also said that she had reported to her Soviet at spy handlers that Pearson also had been a source of information, along with John Grierson, head of the National Film Board, and his secretary, Freda Linton. Featherbed was launched with the concept that the Silvermaster ring — which led to the indictments of Alger Hiss, assistant to the U.S. Secretary of State, and Harry Dexter White, a senior official in the U.S. Treasury Department — had its counterpart in Ottawa. The initial investigation turned up 12 suspected equivalents in the Ottawa civil service hierarchy. The files on the dozen were taken away by W. H. Kelly, director of RCMP Security and Intelligence, and never returned to Featherbed investigators. After the U.S. subcommittees naming Bryce, he voluntarily went to RCMP headquarters to explain. Featherbed with the help of the FBI investigated his claim but concluded that Bryce had played a greater role in the study cells than he owned up to. The delving also turned up a class parade photo taken at Trinity College, Cambridge, in the early 1930s. [Sitting] in the front row were Bryce, Lester Pearson, Herbert Norman and Kim Philby. Philby went on to penetrate and sell out British Intelligence as a Soviet KGB master agent and now lives in Moscow. The picture raised questions but answered none. RCMP of Operation Mercury put Bryce under surveillance for many months but found nothing incriminating. The RCMP Watching Service glued on to Reisman but never found him meeting with Lobatchev. However, Featherbed found that Reisman’s wife had attended a Communist party training school in Port Hope, Ont., in 1954. When Reisman’s top security clearance came up for renewal, the RCMP put in a report that it shouldn’t be renewed. But the government’s security screening panel disagreed. Bernard Ostry was the subject of RCMP surveillance under the code-name “Apache.” That came after British Intelligence reported in 1962 that Ostry had attended a meeting of the Communist Party of Britain. The Watching Service reported that Ostry had met Russian Intelligence Service agent Rem Krassilnikov at the Green Gables restaurant in Ottawa. The RCMP took Bernard Ostry’s file to Trudeau but he dismissed their objections to his promotion to deputy minister of communications, the department that includes intercepting Soviet communications and bugging of embassies. The RCMP had filed objections to Sylvia Ostry’s promotions on the basis of her Communist associations. Trudeau dismissed that, too. The RCMP could never reveal, even to Trudeau, the source for their objections to the Ostrys. With Trudeau’s disinterest, Featherbed ground to a listless effort in 1972 and died completely by 1975. A stroke of luck had uncovered secret Communist party memberships of several higher-ups in the trade union movement and in the civil service. An RCMP “garbage patrol” picked up the membership list of secret section number seven of the United Jewish People’s Order in Montreal. Section seven was the UJPO’s underground party apparatus for professional people. Featherbed’s file on Kent outlined his connections with Communist front groups while he was managing editor of the Winnipeg Free Press. Of the many university professors in Featherbed’s files, the most important was deemed to be Prof. C. B. MacPherson of University of Toronto. The RCMP bugged MacPherson’s island cottage near Gananoque for the regular visits by two Russian Intelligence Service officers from the Ottawa embassy. MacPherson’s wife, Kay, was leader of the Voice of Women movement that paraded for rejection of nuclear weapons by Canada. Twenty years after Igor Gouzenko defected, Featherbed analysts got around to poring through the neglected kit-bags full of papers seized in the spy-ring roundup. In the yellowing notebooks and memo pads, they found names and phone numbers of calls made in wartime. Tracing the numbers back to wartime government phone books, they traced calls made to civil servants who by then (1965) had risen high in the bureaucracy. They also found evidence implicating a wartime RCAF wing commander and an army colonel in the Soviet spy rings. But by then, the trail had gotten too cold. Ironically, the colonel was by then dealing with Soviet trade missions for the government. Another trail too late to pick up was a curious coincidence that went unexplained. A card was put in the shop window to signal that a letter was waiting to be picked up. The card’s appearance usually coincided with the visit to the manager’s office at the rear by two middle-rank civil servants. The pair rose high in the bureaucracy and retired with honors and indexed pensions. Operation Featherbed folded for lack of government interest. 1 Trudeau himself was feared by the RCMP to be a Communist agent. (Trudeau undoubtedly was one. At Moscow in 1952, Trudeau led a Communist delegation organized by the Canadian Communist Party. The Moscow meeting was an “economic summit” organized by Soviet intelligence. See my exclusive English translations of a 7-part series on the summit, “I’m Back From Moscow,” penned by Trudeau for the leftist daily, Le Devoir. Lester Pearson absolutely was a Soviet agent, denounced by defecting Soviet military intelligence, Elizabeth Bentley to the FBI. However, Worthington soft-pedals the grave accusations of Elizabeth Bentley against Pearson in the McCarran hearings. (In 2012, Worthington, still kicking and alive, soft-pedaled his own accusations against Communist Trudeau of the 1970s and 80s, thus bleaching Pierre’s reputation when Red offspring Justin was running for the “Liberal” leadership. Police suspected Bernard and Sylvia Ostry, as well. Now, grasp this, if you can. According to Don Newman, in his autobiography, xxxxxx, Trudeau routinely held his federal Cabinet meetings at the private palatial home of none other than suspected Communists, Bernard and Sylvia Ostry, straddling the border between Hull, Quebec and Ontario. Also at those meetings was private citizen and Canadian RIIA member, Paul Desmarais Senior of Power Corporation. On the downtown Montreal business premises of Power Corporation in the 1960s, 1967 to be precise in this case, a “Secret Committee” of Reds posing as Liberals in the federal cabinet of Soviet Agent Lester Pearson, came up with a plan to create a “separatist” party. Communist René Lévesque was instructed by them to organize and lead it. We thus find a major multinational corporation embracing, hosting and harboring obvious Communist infiltrators of the Liberal Party of Canada, setting up plans for a Communist party and a Communist State of Quebec on Power Corporation premises. Power Corporation is also a major presence at the Canadian branch of the Royal Institute of International Affairs (the RIIA in London, an international banker front for a secret society whose object still is the infiltration of national governments to subvert national sovereignty on the road to world government). * I have come up with a good piece of evidence that Tom Kent was/is indeed a Communist subversive. In March 2007, the Caledon Institute published in pdf format a booklet authored by Kent entitled Federalism Renewed. The section of it entitled “City Limits” declares the Provinces of Canada (Provincial Legislatures) as defunct institutions of the previous Century. 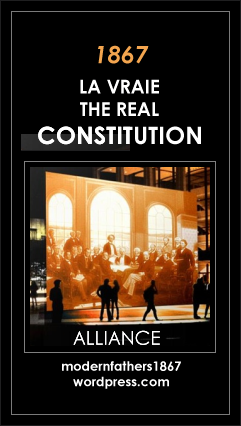 Kent recommends replacing our Provincial Legislatures with a new form of “federalism” which bears a strong resemblance to the Communist expanded administrative municipal regions documented in Moscow in 1975 by Maurice (Morris) Zeitlin writing in Communist Workers’ World. I can tell from the same article that Kent also knows why Stephen Harper declared Quebec “a nation” in 2006: precisely to disintegrate Canada to use Quebec to “negotiate” Kent’s “new federalism”.